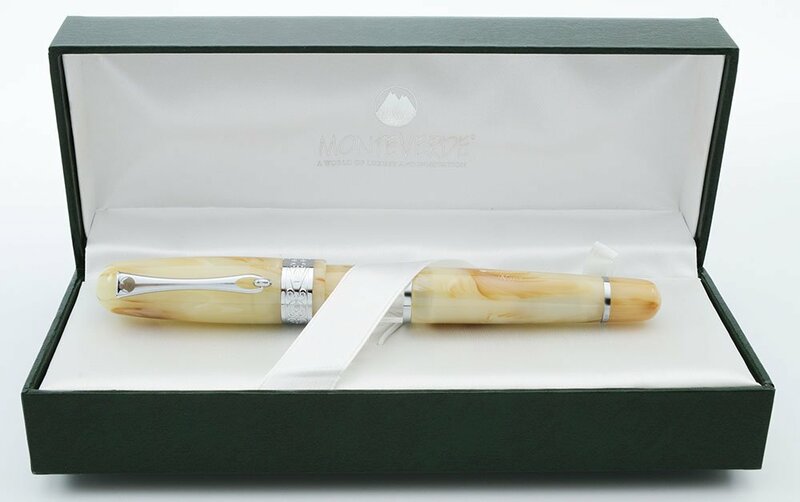 Monteverde's Napa fountain pen in Ivory. 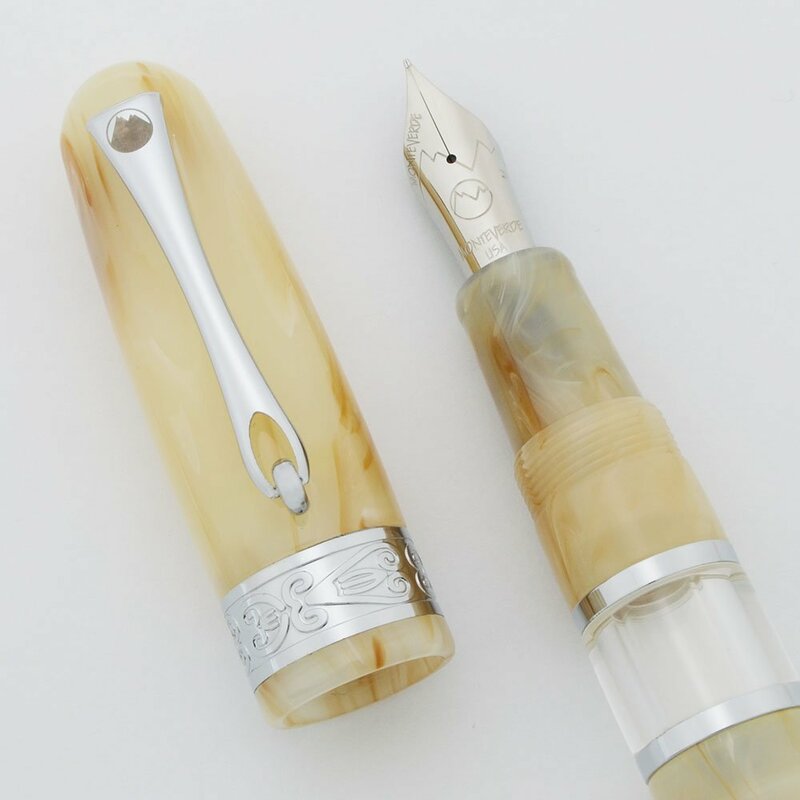 The pen is a translucent beige and cream color with faint swirls. Cartridge/converter filler. Medium steel nib. Near mint condition in box. Product Name Napa Ivory, Product ID MV34560. MSRP is $125. Filling System It takes international style cartridges and international threaded converters. A threaded converter is installed. Color Ivory model. It is a translucent peach-white with beige/light brown and white swirls. The trim is silver colored and includes an ornate 5/16" cap band. The pen also has a large viewing window. Nib Medium steel nib. You can view the nib size on the side of the nib. It takes a Monteverde nib unit and can be replaced with other Monteverde nib units. Condition Near mint condition. The feed and converter are totally free of ink. There's a chance the pen has never been filled. Ships with box.